Fructose intolerance? The Fructose Navigator! If you suffer from abdominal discomforts like pain, diarrhea, and flatulence without knowing the trigger of your symptoms, eating is like walking through a minefield blindfolded. Of course, some ingredient in foods it the trigger. Still, only if you know which one it is, you can calm your digestion. 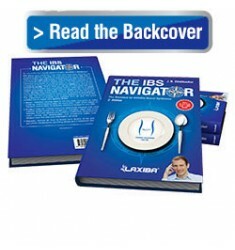 The IBS Navigator takes you from the diagnosis to the treatment. The diet plan protects you from symptoms and enables you as much freedom as possible because, with it, you can focus on your trigger only—as the first one on the US market. Moreover, you also find proven strategies to reduce stress, which intensifies your symptoms. At the time you are diagnosed with a fructose intolerance, this is a technical term for most people that they have to look-up. What does it mean for my health? What am I still able to eat? For how long is this going to be a topic for me? On top of that, glucose and sorbitol aside from fructose, affect your symptoms. The Fructose Navigator accounts for them, too. The book makes the change of your nutrition easier and protects you from continuing abdominal pain, diarrhea, and other symptoms. The presentation of what happens inside of your stomach is both visual and humorous. Thus, the book navigates you reliably to a higher quality of life. 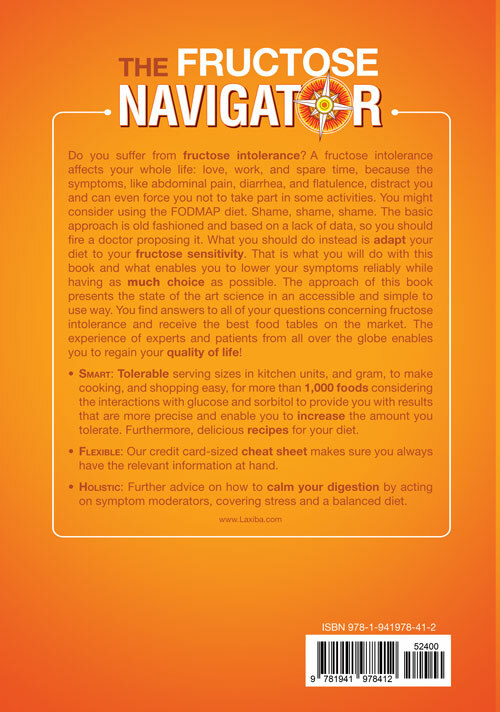 The Fructose Navigator contains the tolerable amounts for more than 1,000 foods. The reason for that is that fructose is contained in various soft drinks and sweets. To your advantage, the book also includes several branded products so that you can be on the safe side. The precise portion sizes for the foods enable you to adapt your diet to your sensitivity. Despite your fructose intolerance, you can still stomach some fructose on each meal. 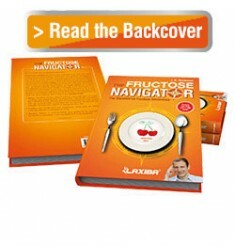 With The Fructose Navigator, you will learn how much and how you can increase that amount. This increase of choice fosters your quality of life and enables you to eat more fruits, and thereby supply yourself with essential vitamins in a natural way. Moreover, it makes it easy to do everything right when cooking and perfectly adjusts to your bowel. The experience of many experts and affected patients became a part of the book. For example, you find a cheatnavi that you can use whenever you are eating out. Even on the topic of stress, you find solutions, as it influences the intensity of your symptoms. Furthermore, the book shows you what else you can do for your health and whether you should use supplements. 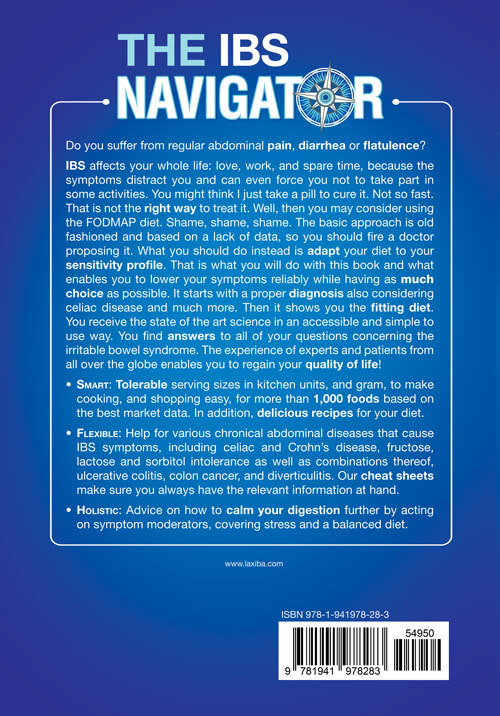 Buy The Fructose Navigator for your bowel to feel better. 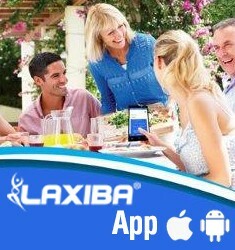 Get the App and choose the fúll edition. Next, enter 'Yes' for fructose intolerance or the degree of your sensitivity if you know it. To find a food, use the text or category search. With a glance, you will see how much you can stomach per meal of one fructose containing food.